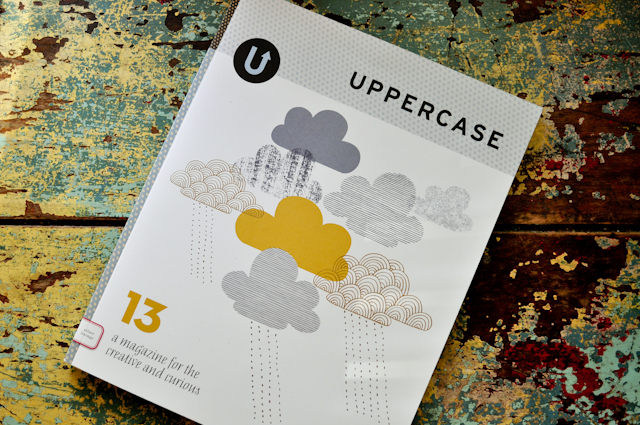 a few things you will find on the pages of UPPERCASE issue number thirteen: cloudy days, paper fortune tellers, bingo card collections, deflated balloons messages, water color polka dots, water color stripes, vintage sue's dress collections, umbrellas, superstitions. and so on and so forth. 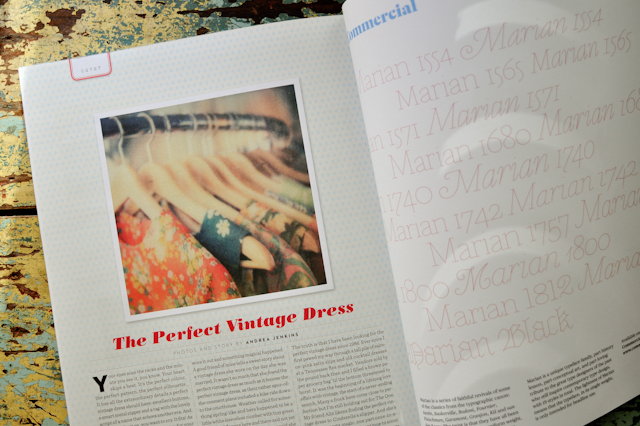 plus a few words about the perfect vintage dress (aka this month's covet column, written and photographed by yours truly). normally, the covet column is a more solitary labor of love but this go round called for a slightly broader view. I put the call out and some sweet friends of mine answered. many, many thanks to jenny and alix for allowing me to share their terrific thoughts and ideas on the perfect vintage dress, to jen for allowing me to share the sweetest little thrift store wedding dress story I ever did hear and to vanessa (of wanderlust trailer fame) and erin (of double decker lodekka fame) for letting me pull dress after dress (after dress) and point my trusty little SX-70 all over the place. you are all fine, fine girls after my own vintage-loving heart. and now I must know. your idea of the perfect vintage dress? what does that look like? and have you found it? spill it, ladies. this photograph makes me so happy. it's all you hula! beautiful. thanks, meghan! shot it on the top floor of lodekka, the double decker bus turned vintage shop. the light is loooovely up there. must hit spot for your trip here this summer! In love with this photo! Alas, I have not yet found the perfect vintage dress. But when I do it have a empire waist, cute peter pan collar, hit just above the knee and fit perfectly. I have recently acquired a teal blue handmade dress that I have to take to the cleaners. It is made maybe of upholstry fabric? It's teal blue and gray, and a little damask-y. Le sigh. Oh, I thrifted one of those Polaroids a few weeks back, and was so sad that it doesn't seem to work. =( I must keep looking, because the look of that film is gorgeous and I so want to try it! I used to have a terrific mod red and blue checked dress,sleeveless with a faux turtleneck. That dress took me far, until I started to get hips. Ha! I still have a couple of good ones. I have a 60s sleeveless v-neck dress with purple and orange flowers on a white background (kinda 50s style, with a semi-full skirt), but the fabric is super heavy, making it hard to figure out when to wear it. My fave is a dress that looks kind of like what one might consider a "house dress", made of aged (soft!) white cotton with a print that looks like little Mexican pots in faded red and blue. Great for the hottest days. Thanks for letting me wax on about vintage dresses. Your photo makes me want more! hips! ha. hips have a ruined a good many vintage dresses for me, that's for sure. boy, I love the sound of that house dress with the mexican pot print. I love the sound of all of them, really, but there's just nothing like the feel of that soft aged vintage cotton. 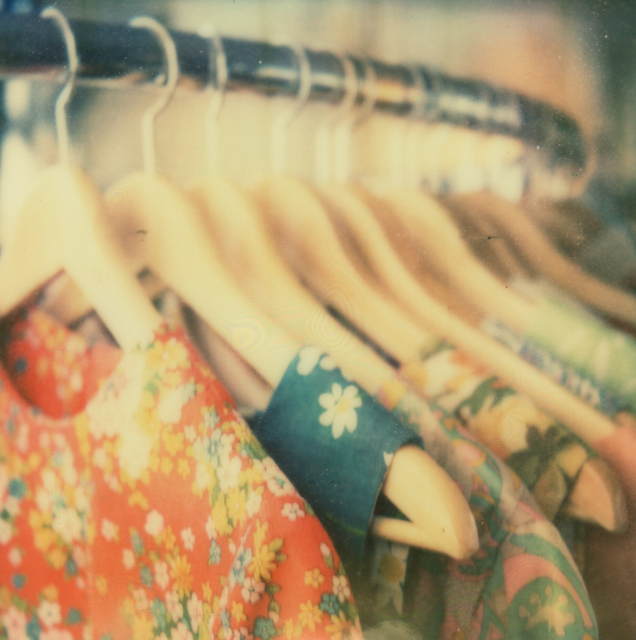 I have three sleeveless sixties frocks that were my mother's. Two of them she designed and had made, probably because she loved the other one so much. They are my best dresses. Brown, brown, and tan, thick woven linen-y fabric, and lined. Short, mod-ish, simple, with pockets. I know. Pockets. All of them have different necks, one boat-necky with darts under the arms, one cut straight with a high neck and very short on the thighs, one with a mao collar and big white buttons all the way down. I got my legs from my mom, and these dresses show them off quite well... And she wore them back before they were vintage!